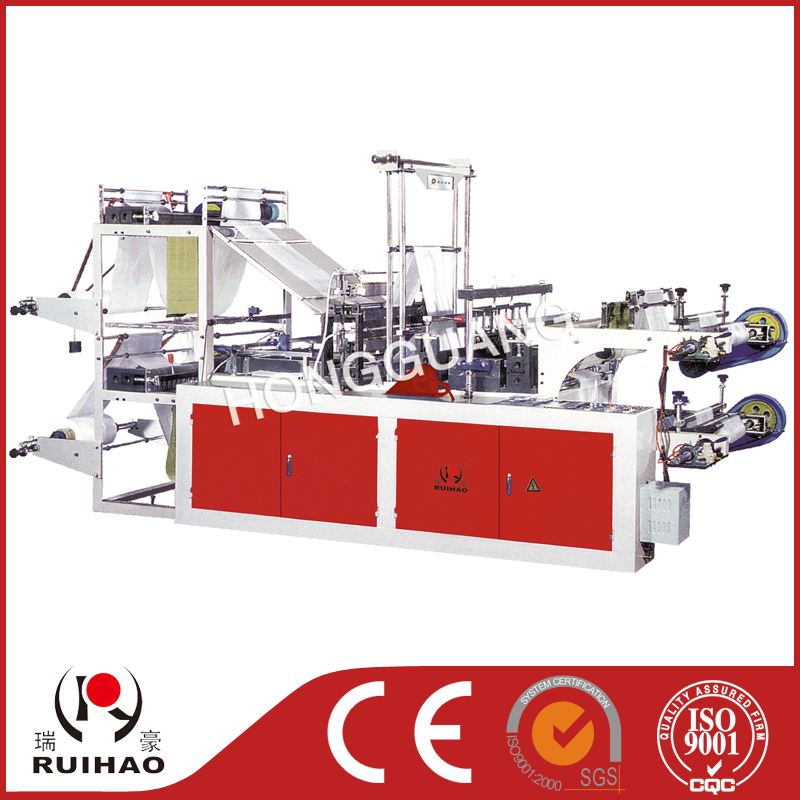 This machine is specially-designed point-cut rolling dual-purpose one for vest & flat bags,is controlled by a computer.The step (servo) setting length system reduces the sealing-cutting dimensions errors,and the installation of photoelectric eyes track help make the position of flgure of printing bags accurate. The computer numerical control can bee selected to adjust the length of bag.The machine will automatically stop and sound a waming if there is something wrong with the printing bags. The high and low density polyethylene film bags produced by the machine are applled to shopping in the supermarkets,shops and markets.